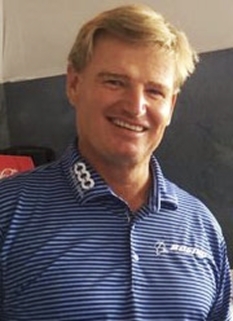 Golf pro, Ernie Els, was born on October 17, 1969 in South Africa. Els is considered one of the top professional players in the world since the mid-1990s. A former World No. 1, he is known as "The Big Easy", for his imposing physical stature along with his fluid, seemingly effortless golf swing. Among Els numerous victories are three major championships: Els won the U.S. Open in 1994 at the Oakmont Country Club and 1997 (this time at the Congressional Country Club), and the The Open Championship in 2002. Unlike most of his contemporaries, Ernie Els is known for his willingness to participate in tournaments all around the world (he regularly plays in European Tour-sanctioned events in Asia, Australasia, and his native country of South Africa). He says that his globe-trotting schedule is in recognition of the global nature of golf, but it has caused some friction with the U.S. PGA Tour, an organization that would prefer Els to play more tournaments in the United States. In late 2004, Tim Finchem, the director of the PGA Tour, wrote quite a firm letter to Els asking him to do so, but Els publicized and rejected this request. The PGA Tour's attitude caused considerable offense in the golfing world outside of North America. In 1989 Ernie Els won the South African Amateur Stroke Play Championiship and turned professional the same year. Els won his first professional tournament in 1991 on the Southern Africa Tour (today the Sunshine Tour). In 1993 Els won his first tournament outside of South Africa at the Dunlop Phoenix in Japan. In 1994 Els won his first major championship at the U.S. Open. Els was tied with Colin Montgomerie and Loren Roberts after 72 holes and they went to a 18 hole playoff the next day. The play-off consisted of 18 holes of golf but Els and Roberts were still tied by the end with Els eventually prevailing on the second hole of sudden death. Els brought his game all around the world in his young career winning the Dubai Desert Classic on the European Tour, and the Toyota World Match Play Championship defeating once again Colin Montgomerie four-and-two. The following year, Els defended his World Match Play Championship, defeating Steve Elkington three-and-one, won the Byron Nelson Classic in the United States then headed back home to South Africa and won twice more. 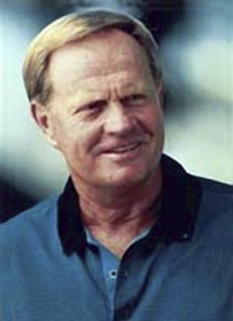 In 1996 Els won his third straight World Match Play Championship over Vijay Singh three-and-one. No player in history had ever managed three successive titles in the one-on-one tournament. Els finished the year with a win at his home tournamnet at the South African Open. 1997 was a career year for Els first winning his second U.S. Open (once again over Colin Montgomerie) this time at Congressional Country Club, making him the first foreign player since Alex Smith (1906, 1910) to win the U.S. Open twice. He defended his Buick Classic title and added the Johnnie Walker Classic to his list of victories. Els nearly won the World Match Play Championship for a fourth consecutive year, but lost to Vijay Singh in the final. 1998 and 1999 continued to be successful years for Els with 4 wins on both the PGA and European tours. 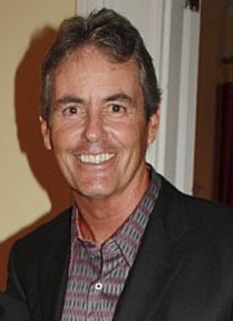 2000 started in historic fashion for Els being given a special honour by the Board of Directors of the European Tour awarding him with honorary life membership of the European Tour because of his two U.S. Opens and three World Match Play titles. 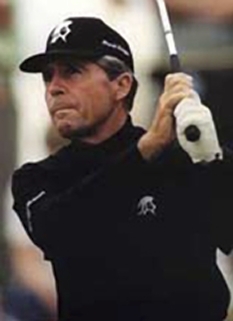 2000 was the year of runner ups for Els; with three runner up finishes in the Majors (Masters, U.S. Open and The Open Championship) and seven second place finishes in tournaments worldwide. Els had a disappointing 2001 season, failing to win a US PGA tour event for the first time since 1994 although he ended the year with nine second place finishes. 2002 was arguably Ernie Els's best year which started with a win at the Heineken Classic at the Royal Melbourne Golf Club. Then went to America and outplayed World Number one Tiger Woods to lift the Genuity Championship title. The premier moment of the season was surely his The Open Championship triumph in very tough conditions at Muirfield. Els overcame a four man playoff to take home the famed Claret Jug for the first time, also quieting his critics about his mental toughness. The South African also took home his fourth World Match Play title, along with his third Nedbank Challenge in the last four years dominating a world class field winning by 8 shots. 2003 gave Els his first European Tour Order of Merit. Although playing less events than his competitors Els won four times and had three runner ups. He also performed well in the United States with back to back victories at the Mercedes Championship and Sony Open and achieved top 20 spots in all four majors including a fifth place finish at the U.S Open and sixth place finishes at both the Masters and PGA Championship. To top of the season Els won the World Match Play title for a record tying fifth time. 2004 was another successful year as Els won 6 times on both tours including big wins at Memorial, WGC-American Express Championship and his sixth World Match Play Championship, a new record. His success didn't stop there. Els showed amazing consistency in the Majors but lost to Phil Mickelson in the Masters when Mickelson birdied the 18th for the title, finished ninth in the U.S. Open after playing in the final group with friend and fellow countryman Retief Goosen and surprisingly losing in a playoff in the Open to the unknown Todd Hamilton. Els had a 14-foot put for birdie on the final hole of regulation for the championship, but Els missed the putt and lost in the playoff. Els ended the major season with a fourth place finish in the PGA Championship. In total Els had 16 top 10 finishes, a second European Order of Merit title in succession and a second place finish on the United States money list. 2004 was the start of the "Big Five Era" which is used in describing the era in golf where Tiger Woods, Vijay Singh, Ernie Els, Retief Goosen, and Phil Mickelson dominated the game of golf. The five switched up and down the top five positions in the World Golf Ranking; most notably Vijay Singh's derailing of Tiger Woods as the best golfer in the world. The five stayed, for the most part in the top five spots from 2004 till the start of 2007. Nine majors where won between them many fighting against each other head to head. Ernie Els checks his shot at Westchester Country ClubIn July 2005, Els injured his left knee while sailing with his family in the Mediterranean. Despite missing several months of the 2005 season due to the injury, Els won the second event on his return, the Dunhill Championship. At the start of the 2007 season Ernie Els laid out a three-year battle plan to challenge Tiger Woods as world number one. "I see 2007 as the start of a three-year plan where I totally re-dedicate myself to the game." Els told his official website. Ernie Els has often been compared to Greg Norman in the sense that both men’s careers could be looked back on and think what could have been. Although the two of them are multiple major championship winners they have both shared disappointment in majors. Their disappointments have ranged from nerves, bad luck and simply being outplayed. 1996 was the year where Norman collapsed in the Masters and Els in the PGA Championship. Els has finished runner-up in six majors and most notably for his runner-up finishes to Tiger Woods. Els has finished runner-up to Woods more than any other golfer and has often been described as having the right game to finally be the golfer to beat Woods in a major. On March 2, 2008, Els won the Honda Classic contested at PGA National's Championship Course in Palm Beach Gardens, Florida. Els shot a final round 67 in tough windy conditions, which was enough to give him the win by one stroke over Luke Donald. The win marked the end of a three and a half year long stretch without a win on the PGA Tour for Els. The win was his 16th PGA Tour victory of his career. Els is represented by International Sports Management. When not playing, he has a golf course design business, a charitable foundation which supports golf among underprivileged youngsters in South Africa, and a highly-regarded wine-making business. 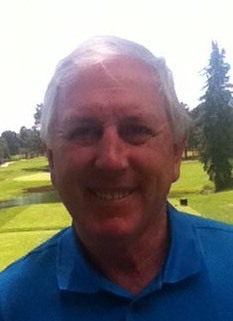 Els has written a popular golf instructional column in Golf Digest magazine for several years. 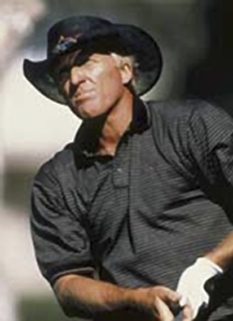 On April 8, 2008, Ernie Els officially announced that he was switching swing coaches from David Leadbetter (whom Els had worked with since 1990) to Butch Harmon who has revamped the golf swings of many established pros (which started with Greg Norman). During Els 2008 Masters press conference Els said the change is in an effort to tighten his swing, shorten his swing, and get a fresh perspective. Els married his wife Liezl in 1998 in Cape Town and they have two children, Samantha and Ben. In 2008 after Els started to display an "Autism Speaks" logo on his golf bag it was announced that their 5 year old son was autistic. Their main residence is at the Wentworth Estate near Wentworth Golf Club in the south of England, although the family plans to move to Jupiter Island, Florida in order to get better treatment for Ben's autism. The family will keep their Wentworth home. DISCLAIMER: PFP Sports Talent Agency does not claim to represent itself as the exclusive agent for Ernie Els. PFP Sports Talent Agency is a booking agency that represents organizations seeking to hire pro athletes and sports personalities such as Ernie Els for speaking engagements, personal appearances, product endorsements and corporate entertainment. Fees on this website are estimates and are intended only as a guideline. Exact fees are determined by a number of factors, including the location of event, the talent’s schedule, requested duties and supply and demand. PFP Sports Talent Agency makes no guarantees to the accuracy of information found on this website and does not warrant that any information or representations contained on this website will be accurate or free from errors. We are often asked how can I find out who is Ernie Els's agent? To find Ernie Els appearance fees and booking agent details, you can contact the agent, representative or manager through PFP Sports Talent Agency for speaking fee costs and availability. PFP Sports Talent Agency can help your company choose the ideal sports personality for your next marketing campaign. To hire Ernie Els for an appearance, speaking event or endorsement, contact Ernie Els's booking agent for more information.